It's been a busy week at Amver. There have been several dramatic rescues which would not be possible without your dedication to safety and joining the Amver system. Not only do we thank you, but the survivors are thankful as well. If you haven't joined Amver yet, now is the perfect time. Participation is easy, enrolling is a breeze and there isn't much to do except send a sail plan and an occasional position report. If your fleet is enrolled in fleet management by Pole Star or Transas the position reports may be automated and you can elect to have them shared with us. Now, help us welcome the latest members of the Amver safety network. The Amver participating bulk carrier Omiros L rescued two sailors from their sailboat after the steering gear fouled on a voyage from the United States to the Azores on Wednesday, June 20, 2018. U.S. Coast Guard rescue personnel, working with their French counterparts at Rescue Coordination Center Griz Nez, were alerted to 12 meter sailboat with fouled steering and requesting assistance. 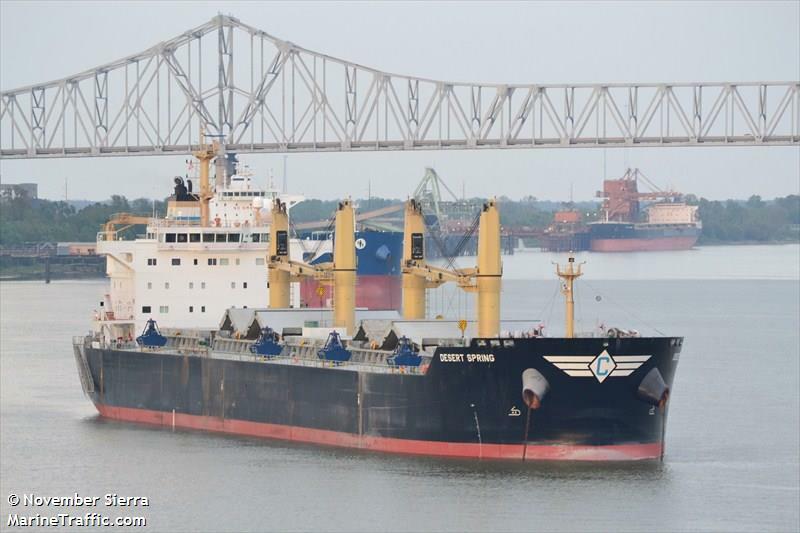 The Coast Guard queried the Amver system and requested the 751-foot bulk carrier to change course and assist the sailors. The Omiros L was only 12 miles away from the distress location. Within an hour of receiving the call for help, captain John Antonio had his ship alongside the sailboat and prepared the crew for rescue operations. "The weather was rough with Beaufort Scale 6 [winds approximately 22-27 knots] and waves of three and a half meters," emailed Captain Antonio. "But we've safely rescued the two Frenchmen." The Liberian flagged ship left the sailboat adrift and the survivors will remain on board until the ship reaches New Orleans, La. The Omiros L, managed by Kyla Shipping of Greece, enrolled in Amver on October 7, 2013 and has earned four Amver participation awards. The Amver participating cargo ship Dolfijngracht rescued a solo ocean rower from the 27-foot ocean rowboat Alba after his boat began taking on water and he abandoned ship approximately 525 miles southeast of Cape Cod, Mass. on Friday, June 15, 2018. Rescue personnel at the U.S. Coast Guard First District Command Center received a 406 MHz Emergency Position Indicating Radio Beacon (EPIRB) alert for the rowboat and confirmed the boat was in distress with the United Kingdom Mission Control Center which received a satellite phone call from the rower stating he was abandoning ship. 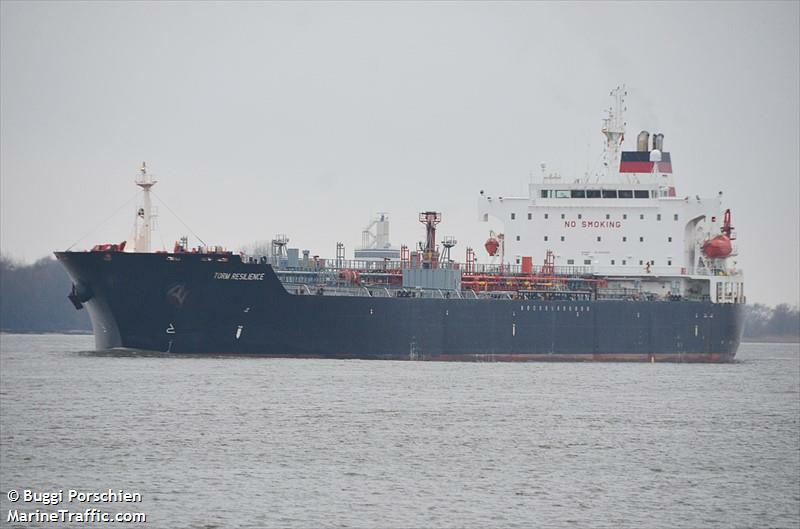 Coast Guard personnel queried the Amver system and diverted the 514-foot dry cargo ship Dolfijngracht which was only 20 miles from the distress location. In addition to the Amver ship, a full array of international resources were requested to assist including a U.S. Coast Guard search aircraft, a Canadian search and rescue aircraft from Halifax and an Italian naval ship. "We immediately changed course and I ordered full steam ahead," reported Marco Goorden, captain of the Netherlands flagged cargo ship. Despite 10-foot seas and 28-knot winds the crew of the Dolfijngracht was able to embark the rower. "He was doing ok but was exhausted. We gave him food and some strong coffee," captain Goorden emailed to the Coast Guard. The rower will remain on the Dolfijngracht until it arrives at its next port of call in Quebec, Canada. The Dolfijngracht, managed by Spliethoff's Bevrachtingskantoor BV of Amsterdam, enrolled in Amver on December 13, 2009 and has earned one Amver participation award. 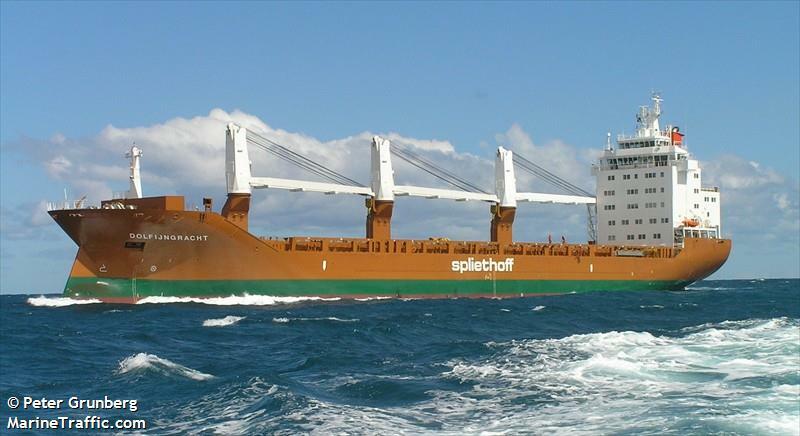 The Amver participating bulk carrier Desert Spring saved three sailors from their sailboat that had lost its keel and was taking on water approximately 330 miles northeast of Anguilla on Thursday, May 3, 2018. U.S. Coast Guard rescue authorities in San Juan, Puerto Rico received a call from Rescue Coordination Center Sweden that a 36-foot sailboat was taking on water and the sailors were prepared to abandon ship. The Coast Guard queried the Amver system and requested the Marshall Island flagged bulker to divert and assist if possible. Captain Roderick Andam quickly assembled the crew of the 633-foot ship and agreed to divert and help. The Desert Spring was only 88 miles away from the sailboat. Once on scene, the crew of the Desert Spring quickly embarked the yachtsmen from their life raft. The survivors were uninjured and the Desert Spring deviated towards Puerto Rico to transfer the survivors to the U.S. Coast Guard. The survivors were transferred to U.S. Coast Guard personnel and the Desert Spring continued on its voyage to New Orleans. The Desert Spring, managed by Atlantic Bulk Carriers Limited of Greece, enrolled in Amver on Jaunary 17, 2012 and has earned three Amver participation awards. The Amver participating oil tanker BW Nile assisted four French sailors and towed their 43-foot sailboat which suffered engine failure and broken sails approximately 225 miles east of Cape May, N.J. on Thursday, June 7, 2018. 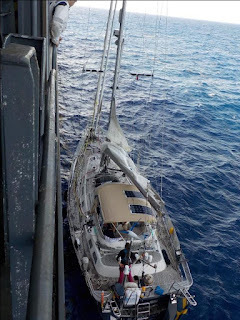 U.S. Coast Guard rescue authorities received a notification from French rescue personnel that the 43-foot sailboat Simbad had a disabled engine and broken sails and required assistance. The Coast Guard queried the Amver system and located the 748-foot tanker and requested the ship divert to assist the sailboat. The four sailors reported two were in good health, one sailor had broken ribs and the last sailor had severe sea sickness. The BW Nile, after agreeing to assist the sailboat, arrived on scene and determined towing the sailboat to New York was the best course of action. The Singapore flagged tanker was able to secure a line to the sailboat and was began towing the boat towards New York. Because of the sea state the sailors remained aboard their sailboat. The BW Nile was able to hand off the tow to Coast Guard personnel without incident. The BW Nile, managed by BW Tankers, enrolled in Amver on August 14, 2017. The Amver participating product tanker Torm Resilience rescued four fishermen who had been adrift for more than 20 days approximately 350 miles southeast of Acapulco de Juarez, Mexico on Sunday, June 3, 2018. 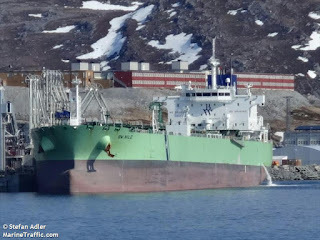 U.S. Coast Guard officials received a notification from the 600-foot tanker that the crew located a fishing vessel with four people aboard. The fishermen stated they had been dropped off by a larger vessel more than 20 days ago and had run out of gas, food and water. The Torm Resilience initially passed food and water while deciding what do to with the fishermen. Coast Guard personnel attempted to locate the mother ship but could not find any other fishing vessels or sister ships in the area. "We've embarked the survivors to our ship and will bring them to Panama," reported Torm Resilience captain Feda Ratkovic. The Singapore flagged tanker, managed by Torm of Copenhagen, Denmark, ensured the survivors were fed and clothed. The survivors were in good health despite their ordeal. 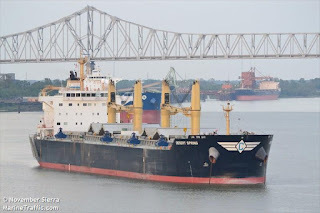 The Torm Resilience agreed to disembark them in Balboa, Panama. The Torm Resilience enrolled in Amver on December 24, 2005 and has earned two Amver participation awards. Six more ships enrolled in Amver this past week. Thank you for helping save lives at sea. It's been a busy week with several rescues and your dedication to safety at sea does not go unnoticed. Most of what you, the seafarer does, is behind the scenes and far from shore. We mean it when we say thank you. Thank you for standing the watch, being ready and saving lives. 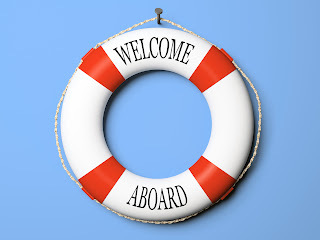 Now, help us welcome the latest members of the Amver safety network. 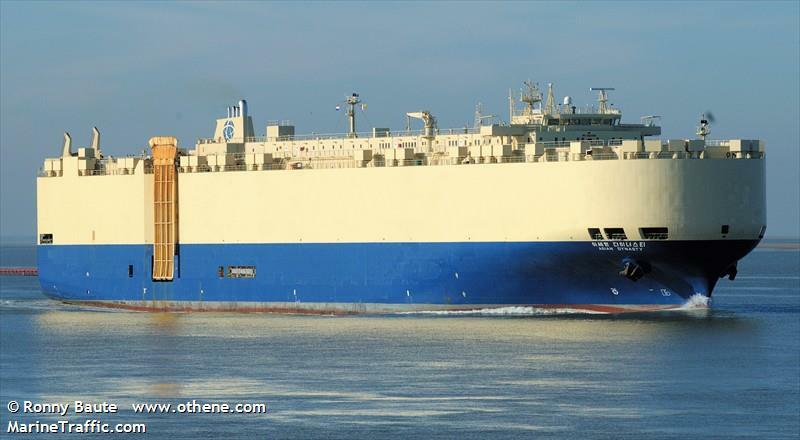 The Amver participating boxship CMA CGM Brazil towed a 46-foot sailboat to safety in St. Marten after the sailboat reported they were taking on water and disabled approximately 315 miles east north east of San Juan, Puerto Rico on Thursday, May 24, 2018. U.S. Coast Guard rescue authorities in San Juan, Puerto Rico were notified by two sailors who's boat was taking on water through the rudder shaft. While they were able to keep up with the flooding with pumps, they were afraid they may have to abandon ship. The Coast Guard queried the Amver system and located the Singapore flagged container ship, CMA CGM Brazil, and requested it divert to assist the sailboat. The master of the 620-foot ship agreed to divert and assist if possible. The CMA CGM Brazil was only 45 miles away from the distress location and was able to locate the sailboat. The master and crew of the container ship devised a plan to tow the sailboat to a shallow, safe harbor. Despite ten knot winds and five foot waves, the crew of the CMA CGM Brazil was able to tow the sailboat to St. Martin. The two sailors were in good health and able to stay aboard the sailboat. The CMA CGM Brazil, which enrolled in Amver on November 30, 2015, handed over the sailboat and two survivors to St. Martin Coast Guard authorities and resumed its voyage. Who's next? Who joined Amver? Why aren't you listed here? So many questions! You can help us save lives by taking a few minutes and enrolling in Amver today. Why? The bottom line is you'll be part of a coordinated rescue instead of an incomplete picture. We're committed to only having the right ship in the right place diverted for search and rescue. Help us help you save money, time and get to your destination in a timely manner. Now, help us welcome the latest members of the Amver safety network. Thank you! Sixteen more ships have joined Amver. Week after week we're impressed and thankful for your continued to support the Amver system. Your commitment to safety at sea matters. Lives are saved time and again. More importantly, commerce is not negatively affected. Your willingness to report to Amver means we may NOT dispatch or divert you to search for a maritime distress. That ensures you make it to port, reduces lost time and saves money. 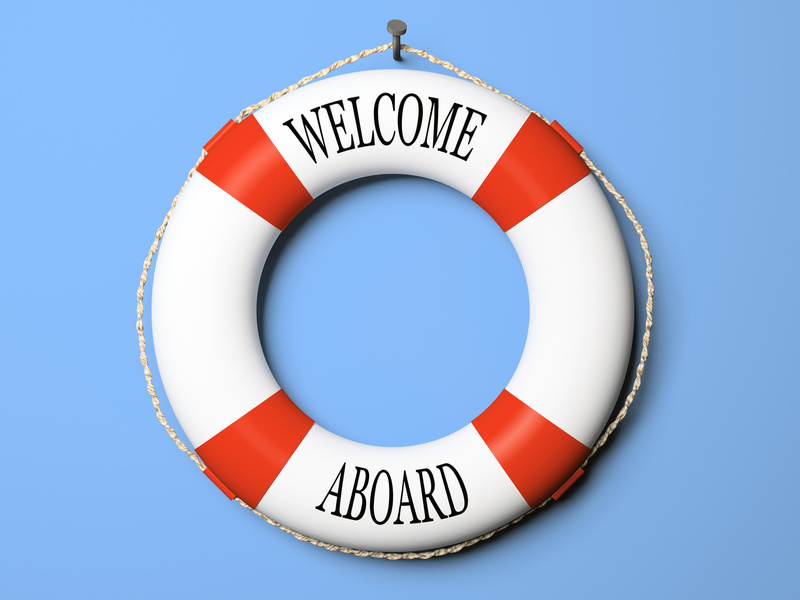 Now, help us welcome the latest members of the Amver safety network. 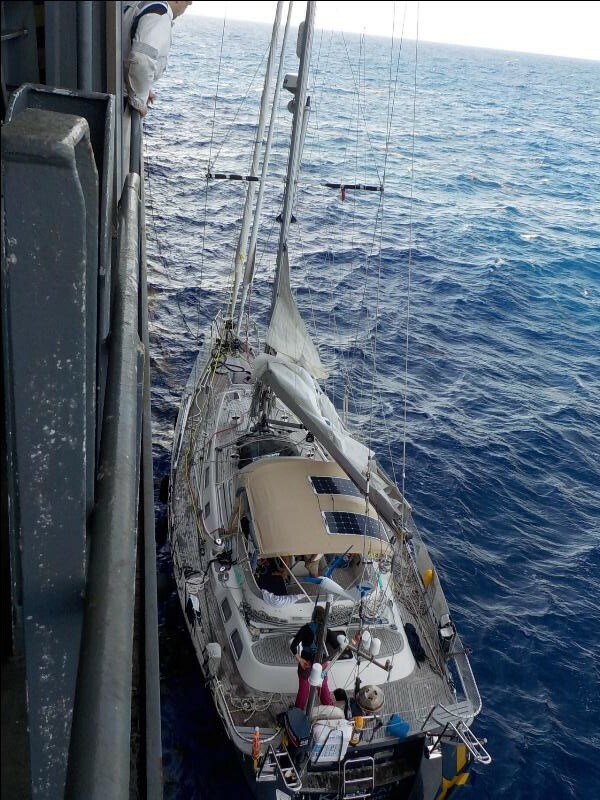 U.S. Coast Guard rescue personnel diverted the Amver participating Ro/Ro Asian Dynasty to rescue three people from a disabled sailboat 25 miles southwest of Freeport, Bahamas on Sunday, May 20, 2018. The product tanker Navigator Gemini received a distress call from the 32-foot sailboat that it was taking on water. The Navigator Gemini then contacted the Coast Guard who immediately launched an Ocean Sentry aircraft and the Amver participating ship Asian Dynasty. The South Koran flagged Ro/Ro agreed to divert, located the sailboat and rescued the three yachtsmen. The survivors were uninjured and stayed aboard the Asian Dynasty until it arrived in Nassau, Bahamas. The Asian Dynasty enrolled in Amver on December 6, 1999 and has earned five Amver participation awards.